By adding the Radeon RX 580 to your Mac Pro, you'll be adding Metal support and gain the ability to install the latest macOS 10.14.x Mojave operating system. unlocking advanced display features in Mojave that are unavailable with the original 5770 or 5870 video cards. Even if you previously upgraded and have Metal support with a card like the Radeon HD 7950, you'll see a 1.5x improvement with this Radeon RX 580 upgrade. With 8GB GDDR5 memory, 36 compute units, and a whopping 6.2 TFLOPs of performance, your Mac Pro will experience a graphics processing renaissance. See shorter rendering times and faster effects operations with Final Cut Pro, DaVinci Resolve, Avid, Adobe, and other video suites. See your OpenCL capabilities soar! Note: With this Metal-compatible graphics card installed, you will not be able to see the Apple logo at boot, nor can you access boot options. Once your system has fully booted, the graphics card will function normally. For more details (including workarounds), see the Rocket Yard article on How to Get Ready for macOS Mojave. There are no driver(s) or Catalyst/Adrenalin support on macOS. 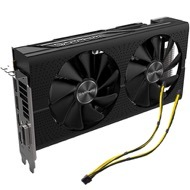 Rating: 4/5 Excellent upgrade for the Mac Pro February 22, 2019 I bought the Radeon RX 580 Bundle for Mac Pro (2010-2012) about three months ago. I already had Metal support for my Mac Pro (Radeon 7950), but needed a little more oomph in GPU performance. Many apps are now using the GPU as much or more than the CPU for computational intensive apps. The RX 580 has performed admirably. In many cases it is 1.5X faster than the 7950. It also has the side benefit of being essentially silent. It only turns on its fans if it is really being pushed. So my Mac is very, very quiet most of the time. I downgraded the card to 4 stars for two reasons. For most users these may not be an issue, but I feel it is important to be aware of them. 1.This card is not fully supported on the Mac Pro using High Sierra (10.13) or Mojave (10.14). Holding down keystrokes upon rebooting doesn’t work. E.g. holding down Command + s (single user mode), Shift key (safe mode), or option key (showing boot disk choices) upon reboot will end up with a blank screen that needs a hard shut down to be resolved. At least that is how it ends up on my 2012 Mac Pro. 2. 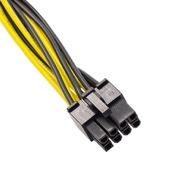 If the bundle is still shipping with a single power cable, it may not be adequate in certain high intensity GPU usage. For me, when I used my favorite photo enlarging app (100% GPU usage), my Mac Pro would immediately completely shut down. I.e. 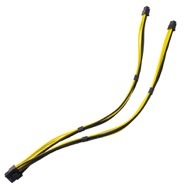 the single cable tried to draw too much power. 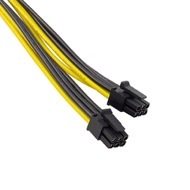 This was solved by my purchasing a dual 6 pin to single 8 pin power cable. After that upgrade the app worked perfectly. 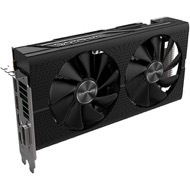 So to conclude: The RX 580 is a great card with some very minor or major caveats depending on how you use your computer. Response from MacSales.com, Call Center March 5, 2019 Hello! We are currently looking into any issues we can find with the single power cable and will definitely be updating the bundle as necessary. Thank you for the excellent review! Rating: 5/5 No fuss upgrade for my 2010 Mac Pro January 15, 2019 This GPU replacement for my 2010 Mac Pro arrived today. Although expensive it allows me to move up to Mojave and have an HDMI port so I can connect a 40" 4K TV as my monitor. It installed easily and the Mac booted up correctly with no issues. I was immediately able to install Mojave. 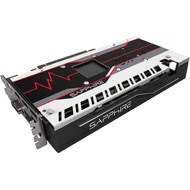 Rating: 5/5 Runs cooler and MUCH faster than the original card January 15, 2019 I upgraded my 2012 5.1 Mac Pro to give it Mojave capability. Thanks to the help from Tech Support, I got Mojave installed and running on a two monitor system. Had some problems but they were not the card, I was using a defective video cable and when I purchased a new cable display was perfect. It keeps my mac cooler thand the 5770 card that came with the mac. Quikcer rendiring in Final Cut. Completely satisfied and highly recomend this upgrade. Keep in mind there is no progress screen duirng boot. Goes directly to log in screen. Rating: 5/5 Great graphics card! 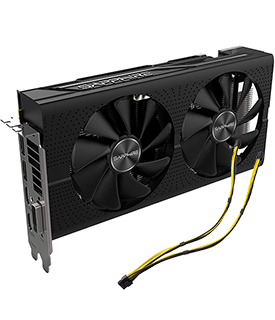 January 1, 2019 This graphic card works as advertised and it's so quiet that you never hear any fan noise even under extreme loads. Rating: 5/5 This is certianly a good option for a 5,1 MacPro December 8, 2018 I have a 2011 5,1 MacPro with a single 3.46 GHz 6-Core Intel Xeon W3690 Processor along with 48GB (3 x 16GB) 1333 MHz DDR3 ECC memory modules and OWC Mercury Electra 3G 240GB SSD for the System Disk Boot Drive. The last OS X upgrade was El Capitan 10.11.6. 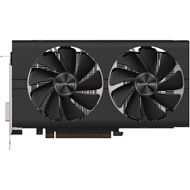 Since most of what I do involves a heavy amount of Adobe CC Photoshop and InDesign usage along with a increasing amount of time being spent on both DaVinci Resolve Finial Cut Pro X for video editing, I was in need of graphics card with more GPU. As such I wanted (pretty much needed) to up grade graphics card with at least double the amount of VRAM as my current 4GB graphics card as well as handle a OS upgrade from El Capitan to Mojave. Searching the forums like Mac Rumors how to do it along with what I will need to accomplish it was to say the least was daunting as the main issue was which graphics cards were actually compatible, one requiring Metal (required for Mojave) and the proper drivers, should you be attempting to use NVIDIA cards. 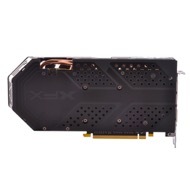 Looking through OWC’s website I found a very likely candidate in their selection of video cards with this one openly advertised as having Metal supporting Mac Pro for upgrade to macOS 10.14.x Mojave, not to mention providing 8 GB of VRAM through the card itself. To make this story short, I got the card, swapped it out and upgraded the OS to Mojave all in one stroke. So far, everything from the OS to all the apps, including Microsoft Office 2011 are running beautifully!